One of the major announcements pertaining to capital markets in the 2018 budget was the introduction of LTCG tax on equities at 10% above Rs1 lakh. The big question for this year remains: what the budget has in store for the capital markets? In the last five budgets presented by Arun Jaitley, there have been key departures from traditional practices. First, the Railway Budget was subsumed into the Union budget. Second, the practice of presenting the Union Budget on the last working day of February was discontinued and instead is presented on February 1. Further, the government will not present a vote-on-account in 2019, which is the practice in election years. Instead, the government will christen it as an interim budget 2019 and present it on February 1st itself. If the revenues from LTCG tax in 2018-19 are not substantive, the government may have a strong reason to review LTCG tax altogether. This would position the government as capital-market friendly and give a boost to flows. The budget may not tinker with STT since it is a strong revenue generator (more than $1bn per year). Also, the markets have adapted to STT and have actually managed to increase volumes over the years. While scrapping the LTCG tax in 2019 will be progressive, the government may choose to observe for a couple of more years before taking a final call. However, the government may be inclined to re-look the indexation benefits to equity fund holders. Currently, all LTCG on equity funds, whether after 1 year or after 20 years are taxed at a flat rate of 10% above Rs1 lakh. That may be detrimental to long-term financial planning and the government may look to reduce the impact of the LTCG tax by extending indexation benefit for equity funds alone. In the 2018 budget, the government had set a fiscal deficit target of 3.3% with an outer limit of 3.5%. However, such a condition becomes too arbitrary. Instead, the government may also move towards a median fiscal deficit target over the next three years within a range. This will give greater predictability to Fiscal Responsibility and Budget Management (FRBM) targets which will get global investors interested in India once again. Foreign investors have also expressed concerns over off-balance sheet liabilities (as in the case of Food Corporation of India). The Government may address this issue through a target for fiscal deficit and overall target including off-balance sheet items. With a view to wooing the urban and semi-urban voters, the government is already talking about raising the minimum tax slab and increasing the limits for Section 80C and Section 24. The money saved can be channelized into long-term equity investments by appropriate incentives, either through the traditional ELSS route or through a different mechanism. That way, domestic flows can counter-balance global liquidity fluctuations. Divestments are important as they introduce quality paper into the market. Strategic sales can give investors access to industries and sectors they hitherto had no access to. One can look forward to more calibrated attack on these two areas with deep positive impact. 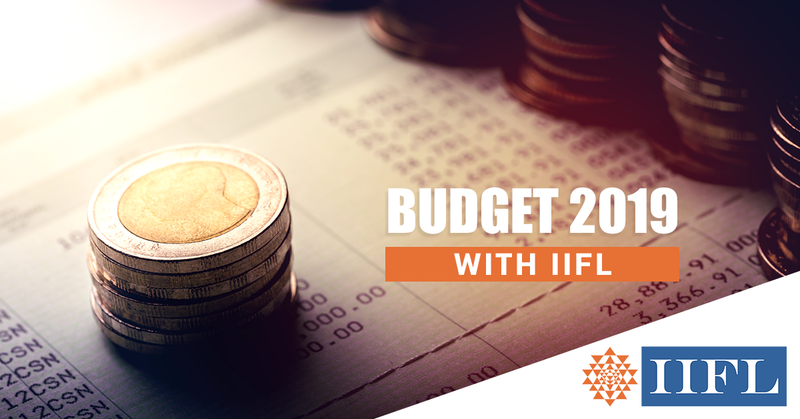 All in all, Budget 2019 is expected to be a significant budget for capital markets from the supply and demand perspective.